Around the world, Land Rovers are more often than not the choice of vehicle for off-road excursions. 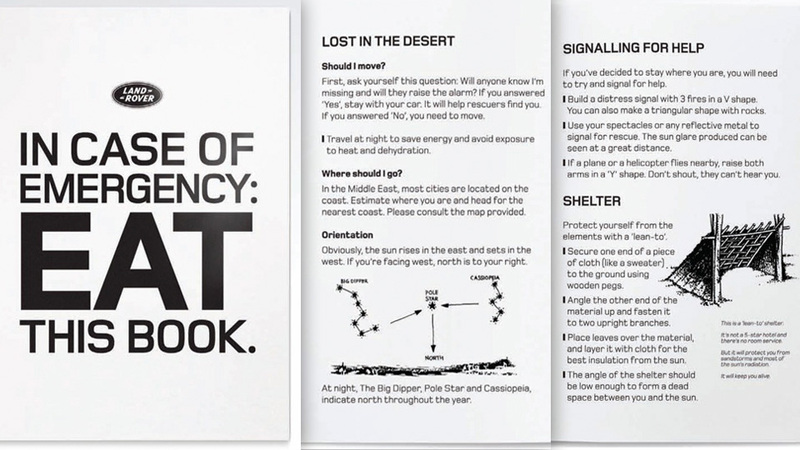 And to ensure the company's customers in the United Arab Emirates survive a long drive into the desert, it created this handy survival guide that can even be eaten when food is scarce. 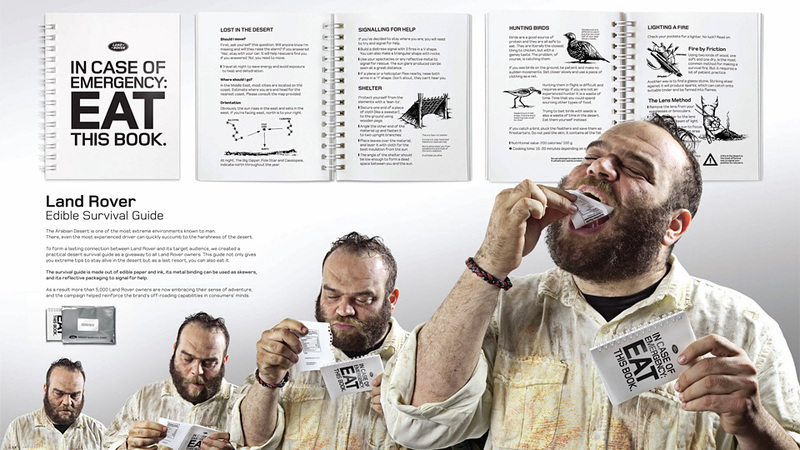 It might only provide the same amount of nutrition as your standard cheeseburger, but if you find yourself trapped in the desert with nothing to eat, we imagine it wouldn't take much convincing for you to down the guide's edible paper and inks. But you might want to take a few minutes and read through it thoroughly first, since it's actually chock full of useful survival tips for finding food, water, shelter, and possibly even a way back to the nearest Land Rover dealership.